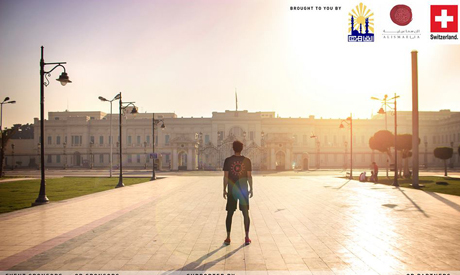 The Swiss Embassy and Cairo Governorate have partnered with running group Cairo Runners to host the Downtown Cairo-Geneva Run this Friday, in the city's historic downtown neighbourhoods. Cairo Runners is the largest running community in Egypt and an early advocate of healthier lifestyles for Cairenes. The group takes to the streets every Friday morning, choosing a new route each week. Friday's 4 kilometre fun run will start from Abdeen Palace downtown and end at the Swiss Embassy’s Swiss Arts Council, in Garden City neighbourhood. The run will begin at 7:45 am; runners are encouraged to meet at the starting line at 7 am. The route will wind the enchanting ambience of the historical streets and buildings of downtown. To give the run Swiss colors, participants are encouraged to wear a red or white shirts. The Swiss Embassy has posted guidelines to ease transportation to and from the run on its website. The embassy will provide buses from Tahrir public garage to the starting line. The finish line is within easy walking distance of the garage. Those taking the metro can get out at Mohamed Naguib station — a two-minute walk from the finish line. Cairo Runners take pride in their expansion. The number of participants — around 70 when the group started in 2012 — has grown with the success of each event. The group's weekly runs draw around 3,000 participants, while runners in 2016's half marathon exceeded 7,000.